As promised, Bungie took to Twitch earlier today to shed light on a new portion ofDestiny‘s much-touted April update. Focusing on the rewards headed to the shooter on April 12, the studio is shaking upDestiny‘s Infusion, replacing the old system with a one-to-one exchange. With next month’s update poised to up the max Light level to 335, Lead Bungie Designer Ryan Paradis spoke to Game Informer about how this small alteration will make a big impact to the secondary levelling system. Up until now, infusion has provided a way to slowly advance gear up the ladder of light. Often, it would require multiple higher-level pieces to get a new armor piece up to the set level. That’s changing with the April update, through the introduction of a one-for-one light-value exchange when infusing. For instance, if you have an unwanted helmet at 335 light, and a helmet you like at 3 light, you can infuse the one into the other, and get your desired helmet instantly up to 335. No more complicated math, or wasting multiple high-level pieces only to find that you just missed your desired mark. Next week, Bungie will shed light on the third core pillar of Destiny‘s April update – new Live Events and Crucible changes. Expect the update to go live on April 12. 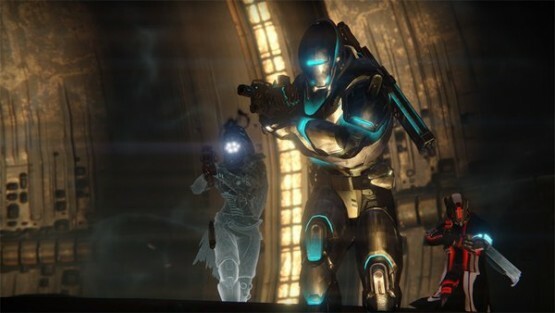 The post Destiny’s April Update to Introduce Changes to Infusion System, Chroma Gear appeared first on PlayStation LifeStyle.